If you’re looking for Lumber Stores in the Niagara area, use ImRenovating.com to find exactly what you need. 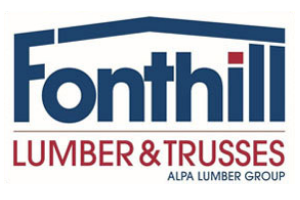 Our lumber store experts have a tremendous knowledge of the entire building process and can supply you with all of the building materials and products to make your home building or renovation project come off without a hitch. 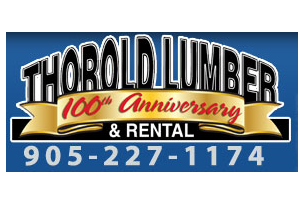 Our Lumber Stores have a full stock of inventory ready for your new home construction, addition to an existing home or business or renovation. Competitive pricing and top shelf service to your door or construction site combined with superior building products and advice on how to accomplish your goals are ready for your call. When you are considering plans to build any structure, whether it is a backyard fence or deck project, a clubhouse for the kids, or a new addition or garage, consult with our Niagara area listed Lumber Stores before you start your construction project. They can save you a considerable amount of time and money through expert advice and building product recommendations designed to meet your building requirements and stylish designs. 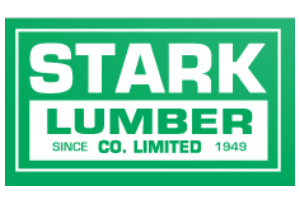 Lumber Stores have the building and construction supplies you need for almost any project you are building or renovating. From the ground up, they have the construction framing materials and specialty lumber as well as all of the nails, screws, nuts and bolts and all the fastening hardware to make your home renovations or construction project a success Most homes and businesses are constructed in a geometrical method to provide both strength and durability. Starting from the pressure treated lumber sill plate that is bolted to the concrete foundation, to the sill gasket that provides a moisture barrier between the top of the concrete wall and the pressure treated sill plate. Once the plate has been installed, it’s time to build the sub-floor on the new home or home renovation addition. Depending on the length of floor span, general construction requires the use of dimensional lumber floor members stood on edge for strength and superior support and nailed in by a perimeter floor joist. In the case where you require greater floor spans, engineered flat floor trusses may be used to reach greater distances without the necessity of posts and beams in the basement area. Most of our listed Lumber Supply Companies have a wide range of sub-floor materials such as standard SPF or Spruce-Pine-Fir plywood or OSB oriented strand board, that is typically of tongue and groove nature so it interlocks into each other and is then glued in place with construction adhesive and screwed down to the floor frame. Once the floor has been framed and the sub floor is laid, it is time to construct the exterior walls. Depending on how the home or commercial business is to be insulated by a qualified Insulation Contractor, you need to decide on the wall thickness that will accommodate either spray foam insulation or fiberglass bat insulation. Typical exterior wall construction consists of any one of three common wood species such as Spruce, Pine, or Fir which is referred to as SPF. These exterior walls on new home construction are usually constructed of 2” x 6” materials to allow enough wall depth to accommodate the specified R-Value or Resistance Value meaning the material resists the transfer of heat and cold to keep your home comfortable all season long. In some cases, the exterior wall will be clad with Styrofoam sheeting often call Styrofoam SM for increased insulation to protect from the heat and cold. General practice when building a garage, barn, or storage shed, is to use 2” x 4” framing materials as they are typically not heated although heavier duty construction materials must be used for larger buildings with greater spans. Post and Beam, or Post Form Construction as it is also known, is a common agricultural building method. Our listed lumber stores can custom order most of these construction materials direct from the manufacturers that will meet your specific engineering requirements for almost any home or building design and these engineered wood products come with the specifications to satisfy most building officials. Most Lumber Companies can custom order your engineered roof trusses which are usually delivered direct to your home or construction site from the roof truss manufacturer. Many of our listed Lumber Yards have far more than wood and lumber construction materials available. They often stock a wide selection roof shingles and sheet metal roofing materials typically placed over a waterproof membranes to protect against leaks and damage as well as several choices in tar paper and engineered house wraps to ensure a proper moisture vapor barrier is maintained as well. Most roofing applications are laid over plywood sheeting as a roof base in the case of a typical shingle installation, but spruce strapping is often laid over the roof when using metal roofing applications. Our listed Lumber Stores in many cases offer a one stop shop experience as building the structure of your new home or addition is just the start of what you need to completely finish your project. Most of our listed lumber stores and construction materials suppliers offer a complete line of Windows and Doors, soffit and fascia, and eavestroughing and downspout products as well, and ate usually available in both vinyl and >aluminium. When choosing the brand and style of doors and windows to use, our listed lumber store professionals have the know how and experience to recommend the best exterior window and door products to meet your needs, whether it is vinyl replacement windows for your existing home or business, or steel clad security doors or a simple door replacement. Our lumber and Building Supply Companies are pleased to custom order any construction materials that they do not regularly stock. Service, Trust, and Value is what they have built their business reputations on and are pleased to assist you with your construction project no matter how large or small. In most cases, our lumber stores have a long list of Construction Contractors and Home Renovation Contractors and even Home Renovation Consultants who buy their construction materials from and can in most cases, refer you to a reputable and honorable building contractor who can complete your home renovations or new home construction project for you. 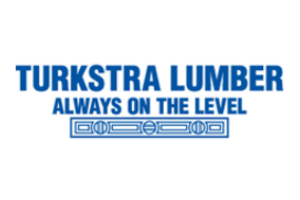 Most of our listed lumber yards deal with renovation and new construction contractors on a daily basis and more often than not, they are always available to assist you with a few knowledgeable recommendations or friendly advice. For all Top Quality Residential and Commercial Lumber Stores in The Niagara Area, look no further than the Lumber Stores section of ImRenovating.com, The Niagara Area's Ultimate Trade Guide!